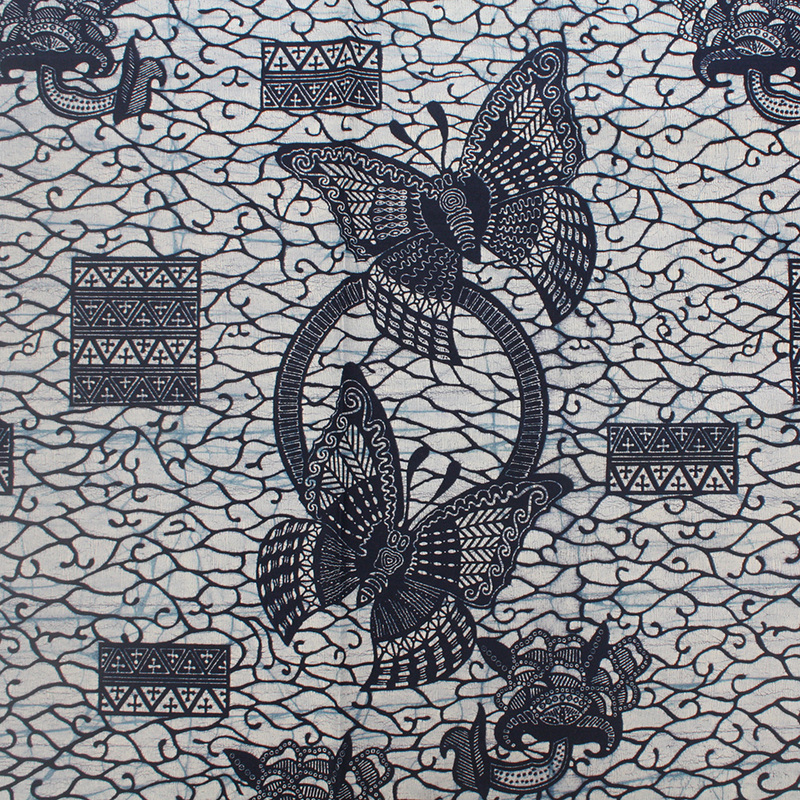 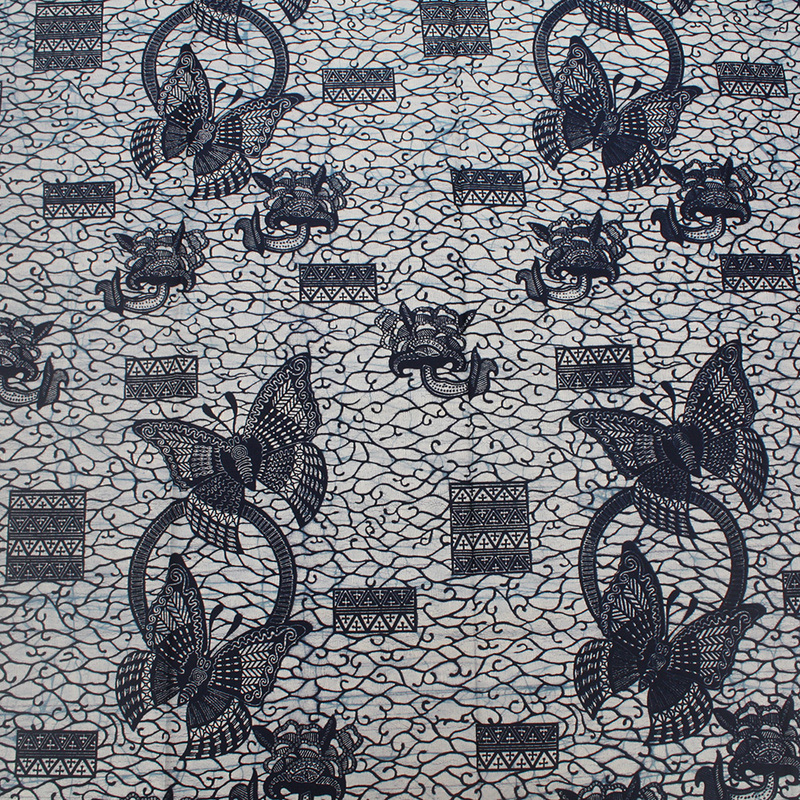 A lovely new African print fabric from Ghana, West Africa. 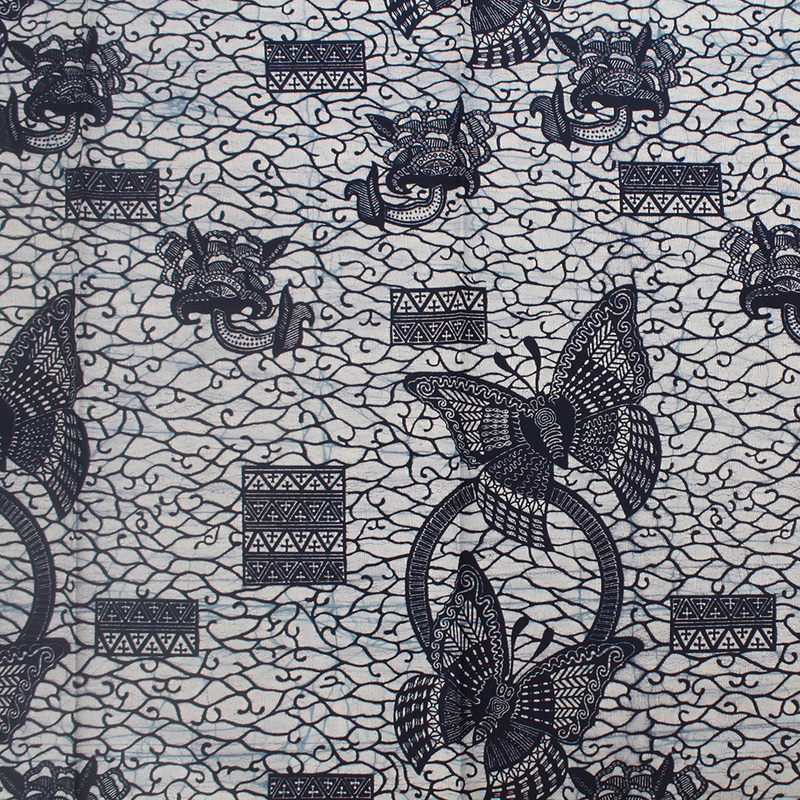 Printed on 100% cotton. 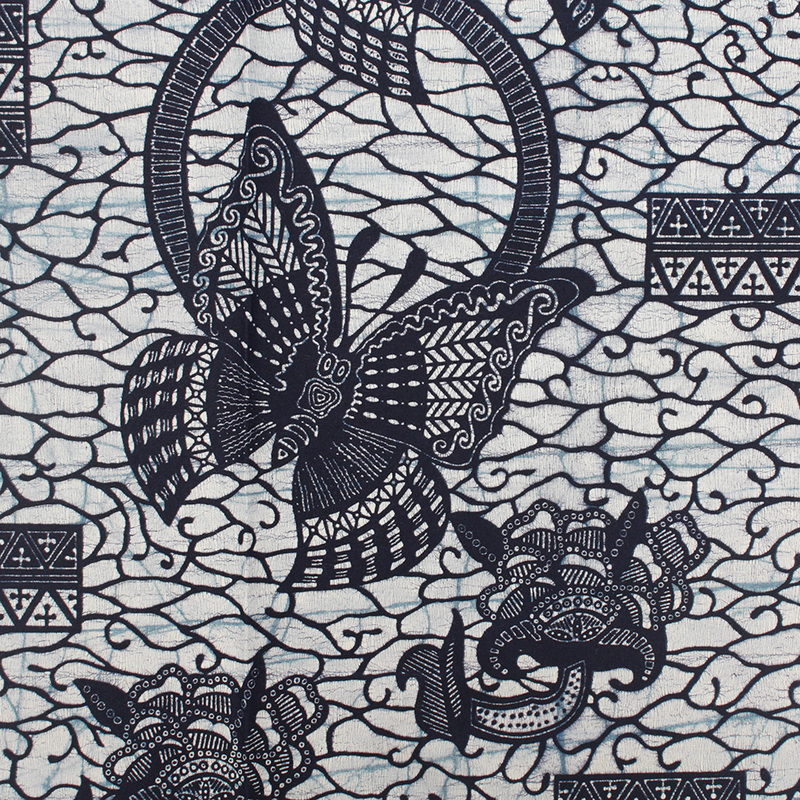 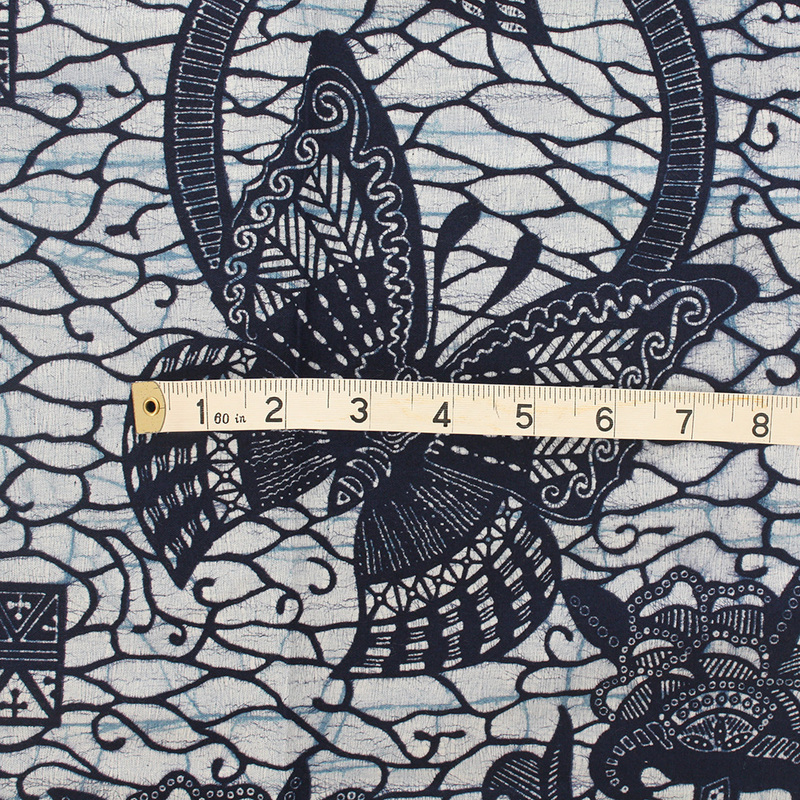 The design features a dark blue butterfly motif against a pale blue background.